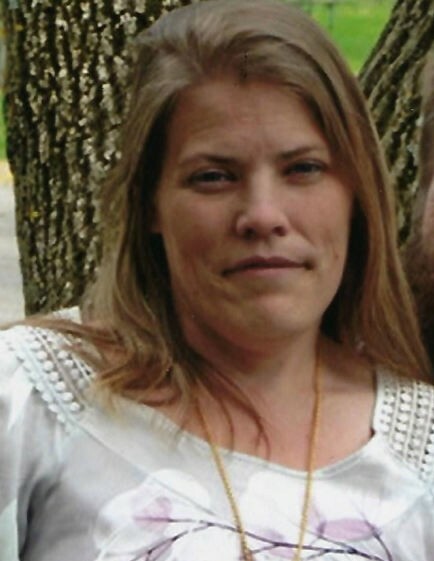 Cleta Louise Brundage, 39, of Andrew, Iowa formerly of Dubuque passed away on October 18, 2018 at Unity Point Health, Finley Hospital. Funeral service will be at 10:30 a.m. Friday, October 26th, 2018 at Our Redeemer Lutheran Church with Pastor Kincaid and Pastor Cearlock officiating. Burial will be in Asbury Cemetery. Visitation will be from 4:00 p.m. to 8:00 p.m. Thursday at Leonard Funeral Home & Crematory, 2595 Rockdale Road. Family and friends may also visit after 9:00 a.m. Friday at the church until time of service. Cleta was born on June 20, 1979 in Dubuque, Iowa the daughter of Mark and Vicki (Sanden) Hoover. She attended Hempstead High School and then Central High School where she received her GED. She then attended Scott Community College in Davenport where she got certified as a CNA. She married Eric Brundage on June 26, 2010 at Our Redeemer Lutheran Church. Cleta worked various jobs until becoming disabled due to illness. Cleta was a loving mother, wife and daughter. She always put others before herself and her witty sense of humor helped uplift others even through difficult times. She is survived by her husband Eric; of Andrew, children, Josh Hoover, of Dubuque, Angela Hoover, of Dubuque, Blake Nott, of Andrew, and Becca Nott, of Andrew. Her mother Vicki (Sanden) Hoover, of Dubuque; brothers Joey (Jessie) Hoover, of Epworth and Benjamin (Erin) Hoover, of Cedar Rapids. She was preceded in death by her father Mark Hoover; grandparents Gladen and Floreen Sanden; and mother-in-law Diana Brundage. A Cleta Brundage memorial fund will be established. The family wishes to thank the doctors and nurses at Unity Point Health, Finley Hospital and Mayo Clinic in Rochester for all their care and kindness; also a special thank you to family and friends for all their loving support.